Satellites angular motion effected by external torques, as well as passive and active methods of angular motion control are analyzed. The passive ones do not need sensors, energy consumption, actuators or computer facilities. They include various ways of restoring and damping torques development with use of external fields and gyroscopic properties of rotating bodies. The active methods of angular motion control use magnetic coils, flywheels etc as actuators and Sun sensors, magnetometers, gyros and starry cameras for attitude determination. 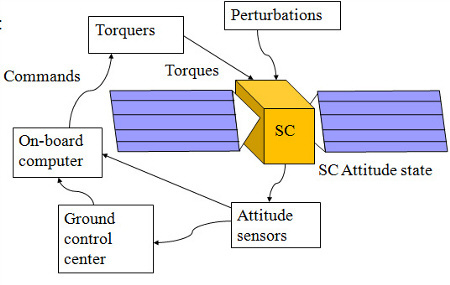 Control algorithms being under development take into account the specific character of microsatellites.